People today are highly mobile: in order to move from one city to another, the modern man sometimes quite a few days. Therefore, the address and the registered address of such a person may vary. In the Russian Federation is the concept of permanent registration at the place of residence, for which the citizen is a stamp in the passport with the permanent address. Also, a permanent record is sometimes called a residence permit, and in order to obtain it, you need to address in territorial body of the Federal migration service with the relevant application and the documents confirming the right to reside at this address. From a legal point of view, registration at the place of residence constitutes notification States that the person resides at a particular address. In this case, if the person resides at that address, which is the place of his permanent residence, it is possible to say that his registration address and residential address are the same. In turn, this situation underlies the system of state planning, allowing you to create the required number of schools, kindergartens, launch the desired number of units of public transport and to create other infrastructure, necessary for the normal functioning of the settlement. In this regard, registration of residence is mandatory, and without residence registration, a citizen may be subjected to imposition of penalty. In accordance with article 19.15.1 of the code of administrative offences of the Russian Federation, the amount of such monetary penalty may be 2 to 3 thousand rubles. However, this rule does not mean that person should be removed from the register and obtain a new stamp with a residence permit every time he leaves home. 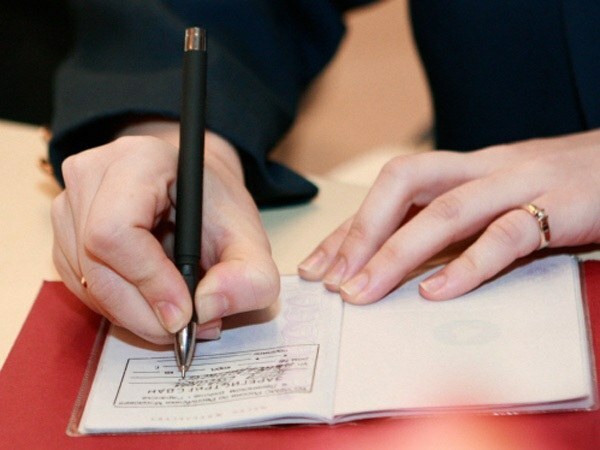 The legislation of the Russian Federation admits the stay of a citizen in a given locality over a period of up to 90 days, during which it is not necessary to register at the new address. If the stay in the new place was delayed to avoid conflicts with the law makes sense to issue so-called temporary registration, which is otherwise also called registration at the place of stay. It is required if the address of permanent residence of the citizen and the address of its actual place of residence. For receiving you also need to contact the territorial Department of FMS, and to provide documents confirming the existence of grounds for obtaining a temporary registration, for example, such a base could be the rental contract. Thus, if your actual residence is different from ' permanent registration, should be registered at the place of stay. In addition to the lack of difficulties when dealing with the regulatory authorities, it will give the opportunity to use the social infrastructure of the locality, where you reside, for example, to visit the clinic. Theoretically, to reside at the place of temporary stay is possible without any documents often do people leaving to work in other regions and maintaining a permanent registered address in his hometown. However, this situation is able to create a person without legal grounds for residence in a new place, a lot of problems.